I was intrigued to try Delicia since I love to enjoy a rich, luxurious dessert and a good cocktail. Therefore a product that combines both in one delicious alcoholic beverage really got my attention and I was very impressed after trying it. 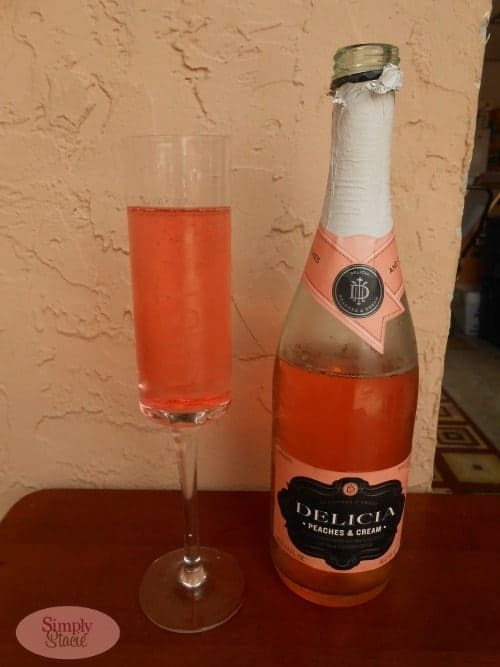 Delicia is a wonderfully unique alcoholic malt beverage that is available in decadent flavors including Whipped, Strawberries & Cream, Red Velvet and Peaches & Cream. It has a sweet dessert flavor and I absolutely loved the hint of bubbles that was very pleasant and reminded me of champagne. 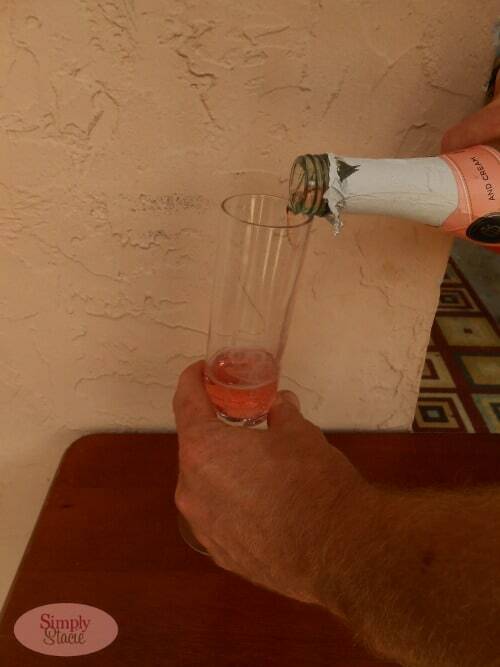 My personal favorite is the Delicia Peaches & Cream which I enjoyed in a flute glass. It tasted so refreshing and delicious and I also like to mix it with club soda for a cool treat as I float around our swimming pool on a hot summer day. The Strawberries & Cream was also very tasty and I appreciate that Delicia uses natural flavors in their products instead of artificial flavors. You can really taste the fruit notes in both the Peaches & Cream and the Strawberries & Cream. It is not too heavy so it is nice beverage in the summer too. There are so many fabulous recipes available on the Delicia website that I would like to try including the Summer Fling Punch, Apple Goddess Punch, Sweet Vixen, Hollywood Kiss Punch and many more. Delicia is sure to be a hit at your next gal party and when I get together with my friends I plan to make the Sweet Bachelorette recipe which is made with chilled Delcia Strawberries & Cream and berry flavored vodka garnished with fresh blueberries and strawberries. Delicia is a lush, dessert beverage for adults that would be perfect for those hot, romantic summer evenings. I can’t wait to try the Whipped and Red Velvet flavors too. You are invited to visit Delicia to learn more about the decadent flavors and find a location near you that carries this product line. Which flavor do you want to try first from Delicia? Strawberries & Cream would be my Delicia of choice! I think I would love to try the Red Velvet. I’d love the Red Velvet! the peaches and cream sounds delicious! Peaches and cream for me! I think the Delicia Red Velvet sounds amazing in the Sweet Vixen! Yum! I like the tip section for idea to add sparkle to a girls night. The peaches & cream sounds nice. I would love the Red Velvet! I think my boyfriend might, too. I learned that you can buy Delicia at Vons and Pavilion stores near me! Id like to try the Peaches one. I’d like a Sweet Bachelorette please. I learned they have cocktail recipes and I am dying to try the Red Vixen and the Red Velve-tini. I learned they have makeup videos on their site. I like the Peaches and Cream. I like how they came out with a dessert flavored alcoholic beverage.I would love to try all the flavors,they sound great. Find a casual pair of high heels in need of some love. Mask the tread part of the soles off with tape. Paint the arch with decoupage glue. Sprinkle on glitter and allow to dry. I would like to try the strawberries and cream and make one of the Hollywood kiss punch recipes! I like The Red Velvet!! I know I would like the strawberries and cream. I would love to try the French Kiss Tea. I love anything peach! I love the tip on the matte vampire nails! Oh my that peaches and cream sounds amazing! I liked and learned how to make a Hollywood Kiss Punch. ohhhh I would love the whipped. i’d like to try this cocktail. That its available in red velvet. 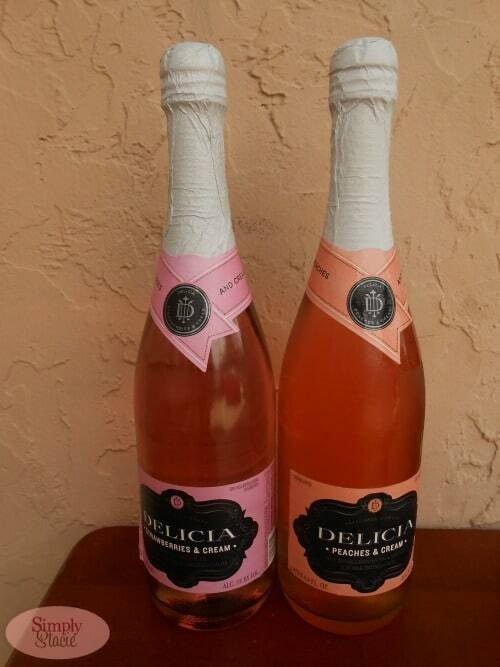 I learned that Delicia is available in Whipped, Strawberries & Cream, Red Velvet and Peaches & Cream! I like their recipe for French Kiss Tea! The Red Velvet sounds delicious, and LOOKS so pretty!